With over 5.3 million Americans currently suffering from Alzheimer’s, an effective treatment is needed more than ever. While existing Alzheimer’s drugs offer limited benefits, new drug candidates in the testing pipeline offer hope for the millions of Alzheimer’s sufferers worldwide. Drug companies are looking into safer alternative vaccines that prod the immune system into clearing the brain of beta-amyloid and beta-amyloid plaques. Currently, drugs known as cholinesterase inhibitors that are prescribed for Alzheimer’s disease may for some lessen symptoms modestly and slow progression of the disease during its early stages. However, they do not stop the disease’s inevitable worsening; and they do not work for everyone. To date, only five drugs have been approved to treat Alzheimer’s. The last one to be approved was Namenda (memantine), for moderate to severe disease. New drug candidates that target the underlying mechanisms of the Alzheimer’s disease process are currently undergoing testing in medical centers and laboratories worldwide. These potential medicines are called “disease modifying drugs” because, in theory at least, such drugs might stop or even reverse the mental decline that occurs with Alzheimer’s. They might even prevent Alzheimer’s from taking hold in the first place. Scientists across the country and around the world are searching for a cure for Alzheimer's disease. The field of Alzheimer’s research has been heating up in recent years, and investigators are excited by the possibility that new treatments could become available in the next several years. Several potential, disease-modifying drugs are currently undergoing testing. A total of nine are in phase III clinical trials, the last phase of testing, whose successful completion is required for FDA approval. Someday, these promising new drugs may prove useful for those with Alzheimer’s disease. An extended-release form of Namenda, the drug used to treat moderate to severe Alzheimer’s disease, was approved by the US Food and Drug Administration. The approval clears the way for the drug to be sold in U.S. pharmacies. Namenda has been available in a twice-a-day formulation since 2003. The new extended-release form of the drug is given once a day, which may make it easier for people with Alzheimer’s and their caregivers to manage treatment. It comes as a 28-milligram dose pill. Studies of the drug showed that the new formulation of the drug has effects similar to the older version. Patients with mild to moderate Alzheimer’s had modest improvements in their memory and thinking skills. As with other Alzheimer’s drugs, though, Namenda may ease symptoms but does nothing to stop the underlying progression of Alzheimer’s disease. Caregivers of patients who are switching from the older to the newer version of Namenda should pay careful attention to the prescribing doctor’s supervision regarding dosage. As with the older version of the drug, side effects can include headaches, diarrhea or dizziness. An antibiotic called rapamycin, currently used to suppress the immune system in people who receive organ transplants, is showing promise in the fight against Alzheimer’s disease. The drug restored memory and thinking skills in mice that had been genetically bred to develop a form of Alzheimer’s disease. While it’s a long way from mice to people, the findings offer intriguing evidence that rapamycin may have benefits for brain health in humans. Researchers from The University of Texas Health Science Center at San Antonio found that rapamycin reversed Alzheimer’s-like memory problems in the animals. The drug, originally isolated from Easter Island soil samples some 40 years ago, also reduced the number of brain lesions in the mice. The findings were published in The Journal of Biological Chemistry. Dr. Oddo said. Much more testing is needed to see if the antibiotic is safe and effective for fighting Alzheimer’s in people. Earlier studies have shown, for example, that the drug can have serious side effects. Because rapamycin suppresses the immune system, those taking it are susceptible to serious infections. It has also altered levels of fats in the blood, which may raise the risk of heart disease. Dozens of additional drugs are in development. Some are novel medicines and others are older medications, already used to treat diseases such as diabetes or prostate cancer, which may have benefits for the brain as well. Someday, these promising new drugs may prove useful for those with Alzheimer’s disease. They may be mixed with existing Alzheimer’s medications, in the same way that drug cocktails are prescribed for people with AIDS or cancer. Some of these disease-modifying drugs may also prove useful for those with mild cognitive impairment (MCI), a less severe form of memory and cognitive loss that often progresses to Alzheimer’s disease. Drugs may eventually be given to healthy, mentally sharp individuals to prevent Alzheimer’s from ever taking hold at all. Source: www.ALZinfo.org. 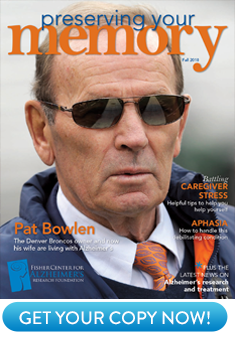 Author: Toby Bilanow, Preserving Your Memory: The Magazine of Health and Hope; Summer 2007.